Catherine Barton Rossetti is a member of the firm’s Trusts & Estates Group. Catherine works with clients of all income levels in estate planning, probate and trust administration, and advises clients on special needs planning for adults and children. Catherine counsels clients on minimizing estate tax liability and avoiding probate court. Catherine is a former registered representative of two major financial services companies, where she held Series, 6, 63 and 7 certifications. 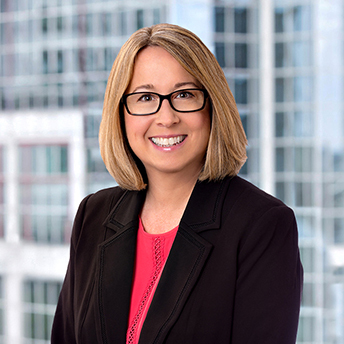 Catherine also advises clients on residential real estate transactions, including such transactions that pertain to probate and estate planning. Catherine works closely with her clients’ accountants and financial planners in structuring individualized estate plans. She also coordinates with family law counsel in formulating premarital agreements, and amending estate plans to reflect changed family circumstances. Catherine takes great pride in furnishing outstanding, individualized service to her clients and is highly regarded for her responsiveness and ability to explain complex estate planning principles in plain language. Catherine’s practice is built almost exclusively on referrals from clients, other attorneys, and financial services professionals, and she welcomes serving new clients who contact her directly or through their advisors. Her clients include executives of publicly-traded companies, small business people, real estate investors, individuals and families. Prior to joining the firm, Catherine founded two successful law firms in the Greater Boston area, and she served for several years on the Board of Directors of the Reading-North Reading Chamber of Commerce.